The name change, from WCB to WorkSafeBC, wasn’t enough to wipe away the very bad taste in my mouth that arose from helping injured workers struggle for WCB benefits early on in my legal career. I stopped accepting WCB claims years ago. Having no recourse to a court of law to force the worker’s compensation insurance monster to play fair became too frustrating for me. Perhaps I was stuck with the raw end of an otherwise caring and fair bureaucracy. Perhaps all has become sunshine and blue sky for workers over the years. I hope so. It has been over four years since I wrote about the interplay between the worker’s compensation system and ICBC claims. I was prompted to write again about the subject having been consulted twice in the last week about that interplay. The worker’s compensation system in British Columbia provides benefits to workers who are injured while “in the course of employment”. Simply put, if you are injured on the job and lose income or incur treatment expense, you are entitled to benefits from WorkSafeBC. It doesn’t matter whose fault it was. It might have been your fault, your employer’s fault, a co-worker’s fault, or someone else’s fault. All that matters is that you were injured while working. These benefits are sometimes referred to as “no-fault” benefits. If your injury happened to be due to the negligence of a co-worker or employer, it doesn’t matter how egregious the negligence might have been – you can’t hold them accountable with a lawsuit. Worker/worker and worker/employer injury lawsuits are barred in the Province of British Columbia. To put that into the context of injuries sustained in a motor vehicle collision, let’s say that you are a delivery person making a delivery. You are a worker in the course of your employment. If your delivery vehicle is involved in a crash while you are making the delivery and you suffer injuries, you are entitled to claim income loss and rehabilitation benefits through WorkSafeBC regardless of who was at fault in the crash. Let’s say the crash was due to the negligence of another person who is on the job, such as a taxi driver. If so, your recourse is solely with WorkSafeBC because of the bar against worker/worker injury lawsuits. On the other hand, if the offending driver was not in the course of employment, you will have a choice. You can pursue your WorkSafeBC benefits or you can pursue a claim against the offending driver (against ICBC) the same as if you had not been working at the time of the crash. Typically, my recommendation is to file a claim application with WorkSafeBC and then to pursue the ICBC claim. By filing the claim application against WorkSafeBC you leave your options open. You can change your mind at any time and collect whatever WorkSafeBC benefits were available to you. There are various factors, though, that can come into play. My recommendation is not always “typical”. 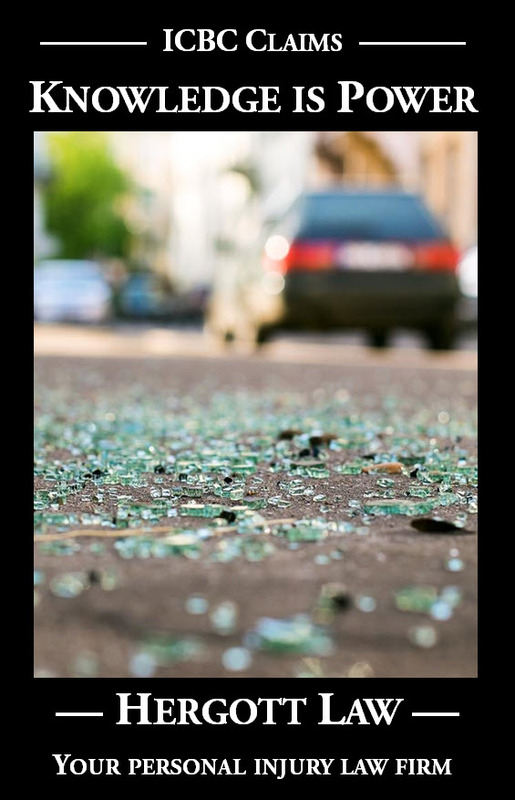 If you have been injured in a crash while you were a worker in the course of employment, make sure you seek legal advice to help you make the right decision for you.